In early 1999, Ohio's eight Investor-Owned Utilities (IOU's) powered 91% of the state. The biggest four – AEP Ohio, Dayton Power & Light, Duke Energy, and FirstEnergy – controlled the bulk of how Ohio's energy was generated, transmitted, and distributed to residents and businesses. Only the Public Utilities Commission of Ohio (PUCO) represented consumers, and those consumers really didn't have much choice in their electric service. The first few years of deregulation were rocky. Customers hesitated switching to marketers or aggregators due a lack of price difference. Meanwhile, changes in the market landscape left many without choices – the northern (primarily urban) parts of the state had more energy suppliers, while the southern (rural) parts had fewer. Consequently, in areas where suppliers were sparse, customer choice was effectively limited to community aggregation or often the incumbent utility. Litigation over compliance with SB3 also gummed up the transition to full market pricing. Yet, even though a growing number of customers were switching to CERS by late 2005, concerns lingered. PUCO announced that "the limited number of competitive electric suppliers and low degree of market activity" showed that ending the rate freeze and jumping into full market-based rates "would not be in the best interest of customers". Instead, PUCO renegotiated rates in the four dominant incumbent utilities' areas to increase by steps to market levels between 2008 and 2010. In May 2008, Governor Ted Strickland signed into law Senate Bill 221 (SB 221) to revise PUCO's regulatory structure. SB 221 requires incumbent utilities to offer a Standard Service Offer (SSO) for customers who do not actively choose a retail supplier. PUCO was given broad authority to make sure certain utilities' SSO proposals were "fair and equitable" to consumers. Meanwhile, the incumbent utilities got a choice between submitting an SSO as an Electric Security Plan (ESP) (a traditional rate plan) or a market rate offer (MRO) (market-based pricing system). ESP's require the utility to secure all its energy capacity for its SSO customers through competitive wholesale auctions, and the prices at auction determine generation rates. If a utility filed an ESP and didn't like PUCO's conditions, it can reject them and start the process over again. If the utility chose the MRO route, it cannot file an ESP in the future. So far, all the incumbent utilities have filed only ESPs. SB 221 also requires each incumbent utility to shed its power generation operations and become a full-fledged electric distribution utility (EDU). Both First Energy and AEP are already in compliance. In September 2014, PUCO approved Dayton Power & Light's plan to transfer its generation assets to an affiliate. Likewise, Duke Energy Ohio will transfer ownership of its generators to an affiliate at the very end of 2014. Currently, Ohio's deregulated market is providing its customers with lower prices, better reliability, and above all — choice. 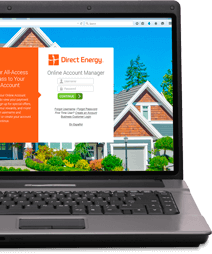 Local utilities distribute energy to all customers whether they have switched to an energy marketer, aggregator, or are the utility's SSO customers. During the second quarter of 2014, an average of 59% of customers in all service areas had switched from IOUs to CRES. Ohio consumers can shop for a variety of offers, including fixed- and variable-rate plans, with different durations and contract terms. Competition is driving down rates because Ohio's consumers also have the right to change their provider and choose a new one so that they are not trapped in plans that don't work for their lifestyle. Not only can Ohio consumers shop around and choose from competitive electricity rates and offers, they still receive the same reliable service from their local utility.